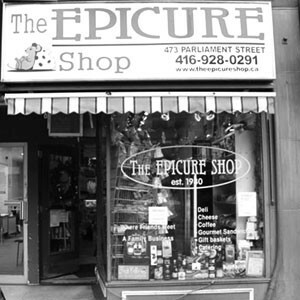 The Epicure Shop has been participating in the Cabbagetown Festival for the last 33 years. All of us at The Epicure are all looking forward to a fun filled weekend, and will be cooking all weekend long. As a matter of fact, you can enjoy breakfast, lunch and dinner with us, as we serve up some delicious Peameal Bacon on a Bun, Italian Sausage, and our famous Steak Sandwich. People keep coming back year after year to ask for our steak recipe, but it is a secret.